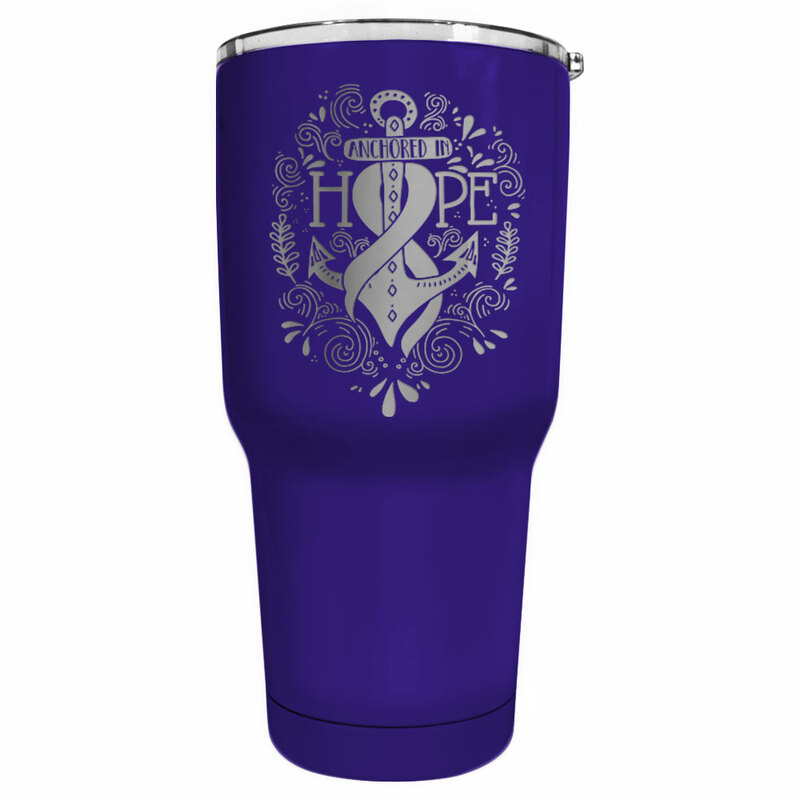 Show support for your cause with our "Anchored in Hope" ribbon design etched into 30 ounce double wall stainless steel vacuum insulated tumblers! Hold your drink's hot or cold temperature for hours wherever you go. Hand wash only.